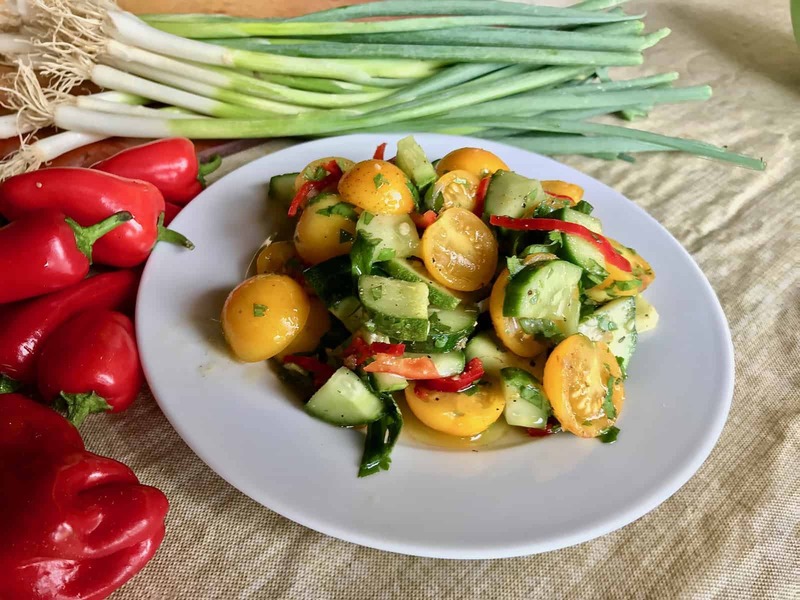 Crisp cucumbers, fresh summer tomatoes and just a little sweet heat from peppers make this light, bright salad perfect for your next summer cookout. There are no greens, which wilt quickly when dressed, so it’s also a great salad to bring along to share with family and friends. 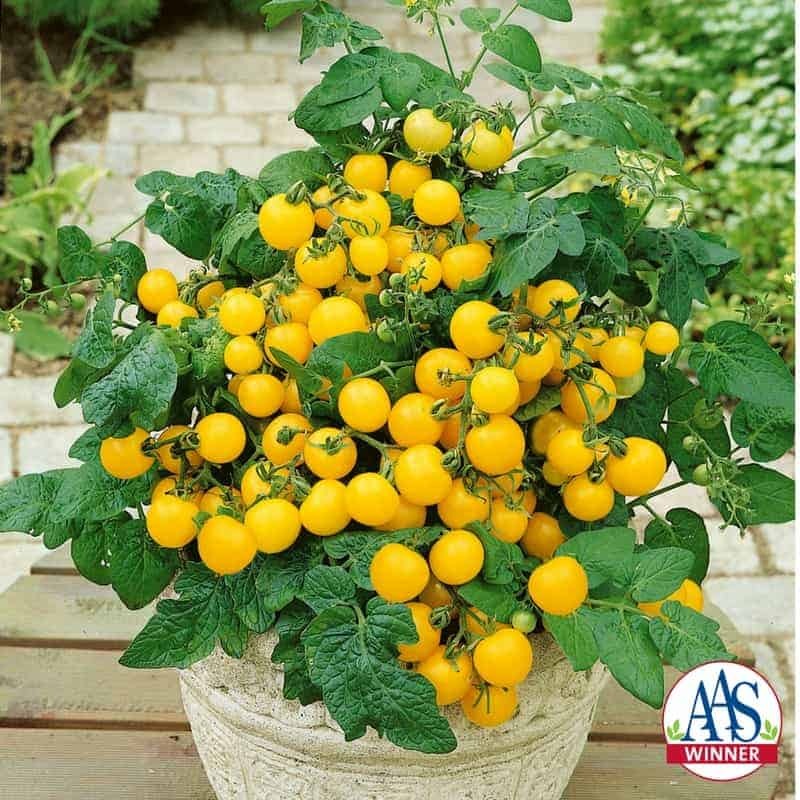 A mildly flavored cherry tomato that sets over 100 fruit on compact plants developed specifically for small spaces and container gardens. 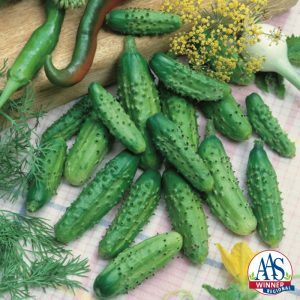 is an excellent mini or gherkin pickling cucumber which can be picked either at the midget size or small pickle stage and processed. 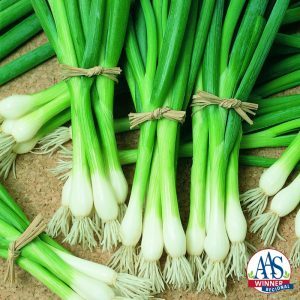 Warrior grows quickly and thus matures early, producing a very uniform crop of slender, crisp onion stalks that are easy to harvest and clean. The first of its kind: a hybrid hot pepper from the Capsicum baccatum species that matures early for short-season production or early summer enjoyment. 2/3 cup olive oil – the good stuff! Place garlic on cutting board and sprinkle with a pinch of coarse salt. Using the flat side of your knife, mash the garlic and salt into a smooth paste. Combine in a small bowl with honey, cumin and vinegar. Whisk together and season with black pepper. Drizzle vegetable oil into vinegar, while whisking, to form a creamy emulsion. 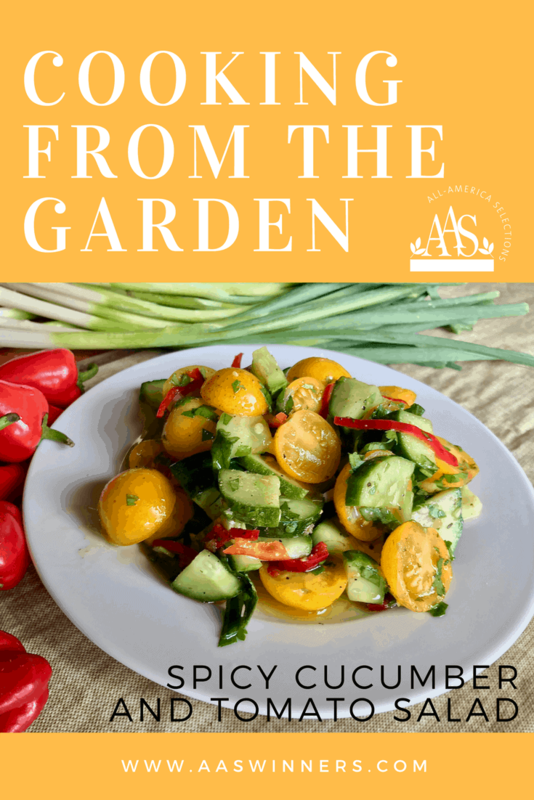 In a large bowl, toss together Patio Choice Yellow tomatoes, Parisian Gherkin cucumbers, Warrior bunching onions, Aji Rico peppers, and fresh cilantro. Taste dressing with a forkful of salad. Season dressing to taste with additional salt, pepper, oil and vinegar as needed. Lightly dress salad, starting with ½ cup of dressing and adding more to taste.